Ultimate is one of the fastest growing sports in the world, and is a fast paced team sport played with a flying disc. Teams of seven play on a roughly rugby sized pitch, and score in an end-zone like in American football. It is non-contact, and like netball, players stop running once they catch the disc, and look to pass it to a teammate further up the field. As frisbees create their own lift through spinning, they are able to stay in the air longer than a ball, which makes for some great crowd pleasing athletic plays. 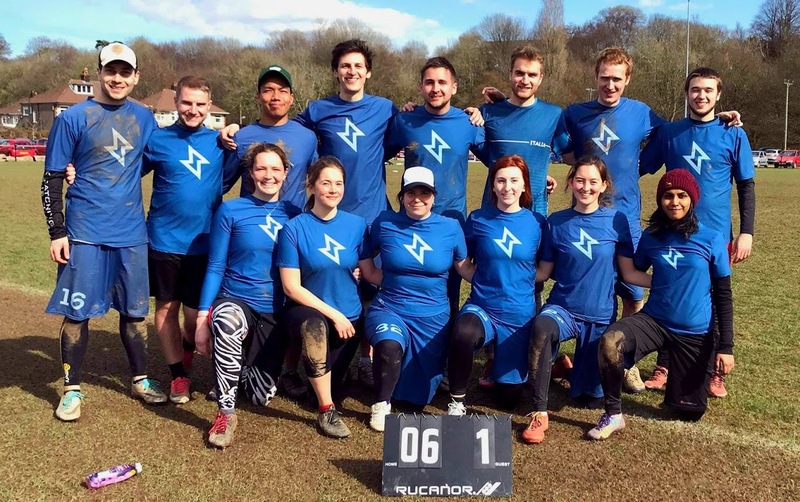 What makes ultimate stand out as a team sport is that there is a mixed division, men and women play on the same team which is fairly uncommon in other sports. Also, there are no referees in ultimate, players call their own fouls and work their differences out themselves which encourages fair play and respect between players, and makes the sport such a joy to be a part of. Ultimate is fun and social way to keep fit. Storm compete in national competitions as well as attending more local events closer to home. South Wales Storm have been around for coming up to a decade now in one form or another, and are mostly made up of students from Swansea and Cardiff Universities. We are looking to build on this enthusiastic but transient student base, and encourage locals to join our club and get involved. Beginners tend to pick the game up quickly, and have a lot of fun while doing so. You don’t need much equipment to play get involved either, just a pair of football/rugby boots and an open mind. Storm train each Saturday morning on Roath Recreation Ground at 10:30am for around two hours, and we would love it if you’d join us. We are totally beginner friendly, so why not come to a training session and see what makes ultimate such a great team sport? To get in touch with us, search for our Facebook page: “Storm: South Wales Ultimate”. If you would like to learn more about the sport of ultimate, I’d suggest giving it a search on YouTube, there are some great highlight videos to watch.